I have a life long love/hate relationship with coconut. Love the flavor, hate the texture. So, little pieces of shredded coconut inside foods or covering the outside of a cake? Nope, not for me. The result of this has been that I spent a lot of time avoiding coconut flavored foods and pretty much kept my coconut consumption to pina coladas. A few weeks ago I was actually tasting a new coconut flavored yogurt (and pulling flakes out of my mouth - sorry) but it reminded me how much I really do like the flavor. So, it's high time for me to make my own coconut creations, right? And since the temperatures have been in the upper 80's lately, it's only right that I start with ice cream! My version is creamy and wonderful and addictive and flake free. Feel free to add coconut flakes if you like them. But if you, like me, have flake issues, this completely smooth and delicious recipe is for you. Enjoy! 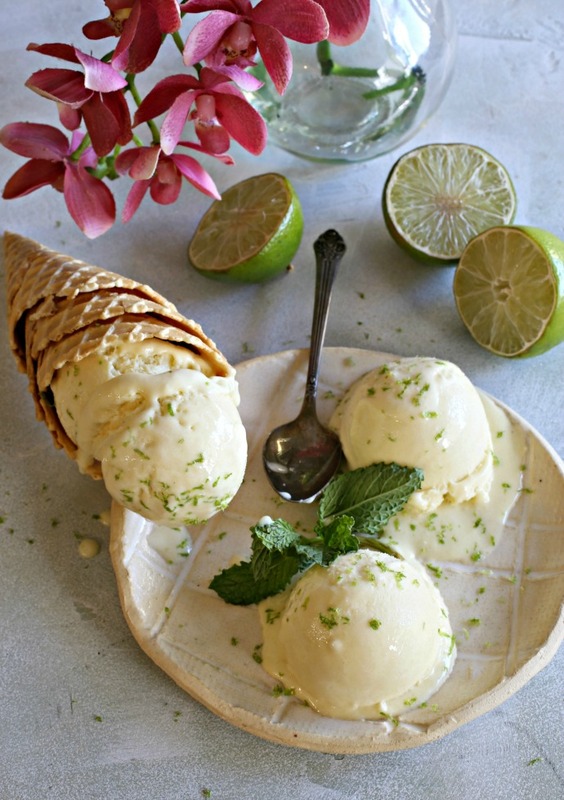 Recipe for creamy coconut ice cream flavored with lime. Add the coconut cream, heavy cream, coconut milk, sugar and salt to a pot and bring to a simmer. In a separate bowl, beat together the egg yolks and vanilla. Temper the eggs by whisking a ladle of the hot cream mixture into them and then add the eggs to the pot. Cook, whisking often, on medium low heat until the mixture reaches 170 degrees and coats the back of a spoon. Remove from the heat, allow to cool, stir in the lime juice and zest and refrigerate for at least an hour. 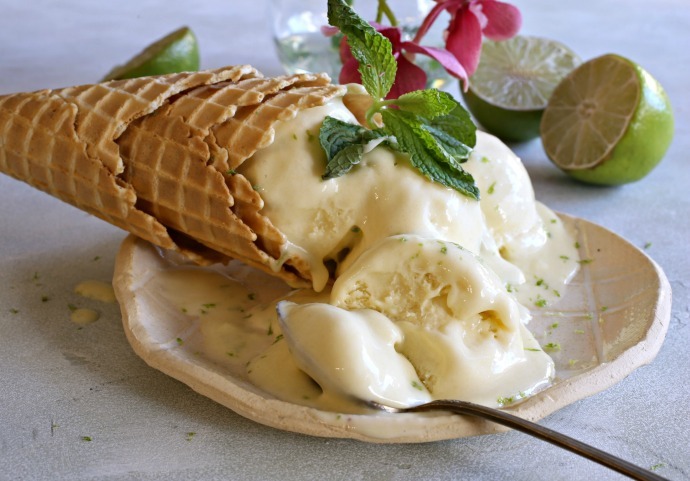 Churn the mixture in your ice cream maker for 20 - 30 minutes and then freeze for a few hours to firm up. I can't wait to try this recipe. 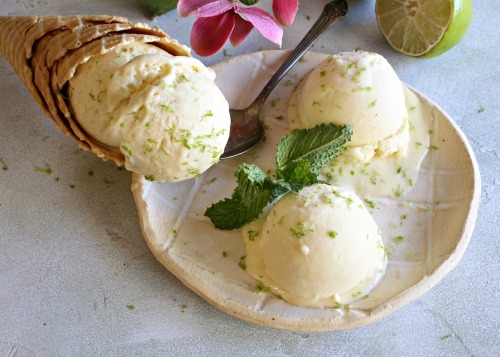 I have searching for "low sugar" ice cream recipes--since we decided that regular ice cream has just wayyyy to much sugar for our healthy lifestyle! Thank you!! !